Why Should You Become a Recruitment Site for ICARE? Institutions that provide services for patients at risk of developing hereditary cancer can contribute to the ICARE Initiative by becoming a recruitment site. 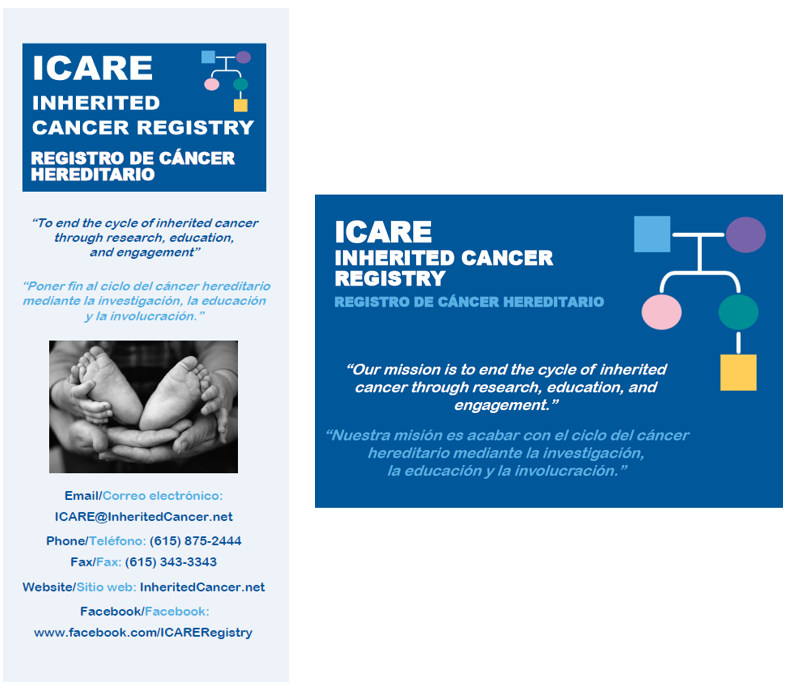 Recruitment sites will be supplied with ICARE materials, such as bilingual brochures and prepaid response cards (pictured below), to distribute to their patient population. Patient referrals to ICARE can contribute to your program’s Commission on Cancer (CoC) accreditation requirements for research, as well as count towards accreditation by the National Accreditation Program for Breast Centers (NAPBC). If you are interested in learning more about the option of recruiting for ICARE, please complete our provider contact form. We look forward to working with your program and speaking with you about ICARE.